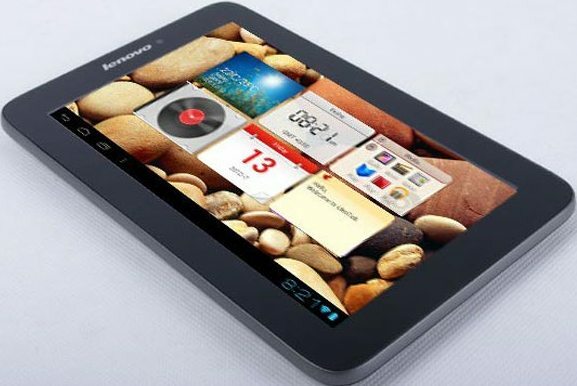 Lenovo LePad A2107, a dual-SIM tablet features 7-inch capacitive touch screen with 1024 x 600 pixel resolution, powered by 1GHz MTK6575 single core processor with 1GB RAM, runs on Android 4.0 IceCream Sandwich OS, 16 GB of storage. 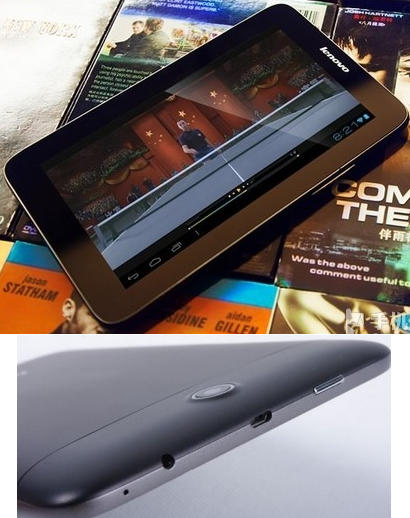 Lenovo’s LePad A2107 sports rear 3MP camera and has 2MP front camera. It allow users to have two different mobile broadband networks, without the need of changing SIMs. Connectivity options includes Wi-Fi, 3G, microSD port. It comes with a standard 3550 mAh battery which delivers 10 hours of use. It is 11.5 mm thick and weighs just 400 gms. The Lenovo LePad A2107 Dual SIM Android tablet will go on sale in China on the 18th of June, there are no details on pricing as yet. Tags: Android 4.0, dual-SIM tablet, Lenovo, LePad A2107, MTK6575 processor, Lenovo LePad A2107, Lenovo LePad A2107 features, Lenovo LePad A2107 specifications, Lenovo LePad A2107 review, Lenovo LePad A2107 details, Lenovo LePad A2107 availability, Lenovo LePad A2107 specs, Lenovo LePad A2107 images, Lenovo LePad A2107 pics, Lenovo LePad A2107 pictures, Lenovo LePad A2107 price.